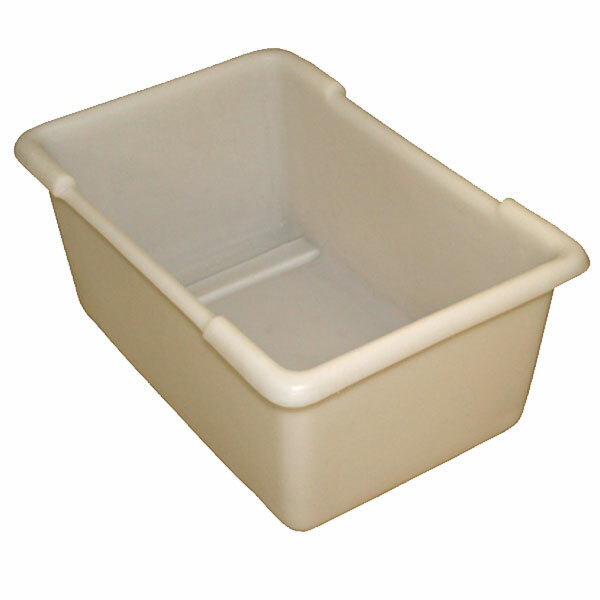 The FTE Series FTE-3T Three-Bushel Nesting Tote is a nesting tote for an elevated floor truck. Heavy duty, long lasting, smooth walled, leak-proof, one-piece polyethylene molded parts. USDA / FDA compliant resins and pigments, 100% recyclable. Easy to clean and handle. Independent, friction fit, elevated dolly provides ergonomic benefits to reduce back strain and workplace injuries. Stainless steel hardware, ships fully assembled with four swivel casters. Easy to maneuver. Ideal for food production, dry or wet goods hauling, commercial applications, laundry, order fulfillment, warehouse and distribution centers, transport and storage needs. Also referred to as leak-proof tub or cart. Three-bushel model. Outer Dimensions (OD) (LxWxH) 29 x 20 x 12"
Inner Dimensions (ID) (LxWxH) 27 x 18 x 12"